Remember this scene from G.I. Joe Retaliation? You know– where Roadblock and Duke have a post-operation shooting contest to determine whether Roadblock takes his next promotion or if Duke babysits Marvin’s daughters? It’s no secret that Roadblock was the focal point of the G.I. Joe Retaliation marketing efforts. Simply put: you don’t put someone like Dwayne “The Rock” Johnson in a film and then ignore his presence. This also means that the accompanying toy line is going to be chock-full of Roadblock figures– each with something just a bit different to make them unique from the rest. Such is the case of the wave 3.5 release of “Ultimate Roadblock” which attempts to be the most screen accurate version of the character to date. So, is this really the “Ultimate Roadblock” or just “yet another Roadblock”? Is he worth a purchase after the wave 2 Battle Kata Roadblock version? Head on over to the G.I. Joe Retaliation Review Index and check it out! G.I. Joe Retaliation Ultimate Flint Review! The backlog of G.I. 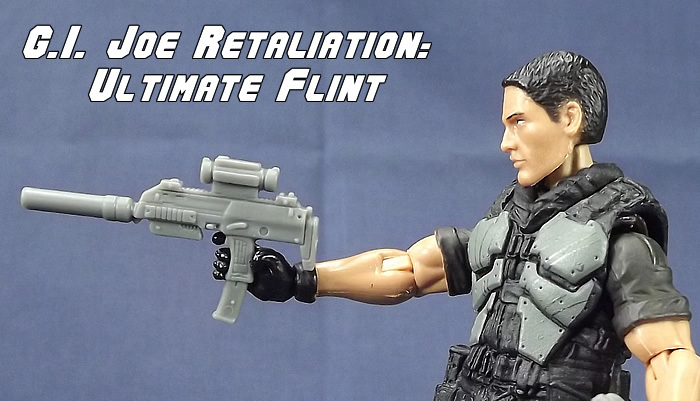 Joe Retaliation figures gets a bit smaller with the Ultimate Flint review! In the film, Flint was portrayed as a brash, cocky, and headstrong member of the team who found himself tested when Cobra Commander’s brutal plan was put into action. Some fans felt this didn’t jive with his portrayals in various media over the past 30 years while others found it to be spot-on with his early appearances in Larry Hama’s Marvel Comics run. Regardless, wave 3.5 of the Retaliation line brought fans “Ultimate Flint”– a figure sporting a more movie-accurate deco and enough accessories to outfit a platoon. Is this figure worth a purchase considering there was a Flint figure released just one wave earlier? Check out the Ultimate Flint Review in the G.I. Joe Retaliation Review Index and find out one Joe fan’s opinion! SDCC 2013: Jon M Chu discussed G.I. Joe 3! SDCC 2013 is winding down and G.I. Joe news has been a bit scarce. However, the folks at CraveOnline decided to go straight to the source and talked to Jon M. Chu at the Hasbro booth about G.I. Joe 3! Once again– I like what I’m hearing! The fact that he’s open to bringing back characters from the first film that were noticeably absent in G.I. Joe: Retaliation is fantastic! It’s very clear after reading all of the Retaliation interviews that director Jon M. Chu is a Joe fan from “way back” but that his hands were somewhat tied by having to acknowledge the events of Rise of Cobra. However, that didn’t stop him from taking a pre-existing script and turning it into a action tour-de-force worthy of the Joes we all know and love. Now, with more creative control and a self-professed love of the Marvel Comics series I can only speculate just what lies in store for the third film in the series. Bringing back Scarlet because she has “more stories to tell”? YO JOE!!! A big thanks to the folks at CraveOnline for posting the interview! Happy G.I. Joe Retaliation Day!!! That’s right– today is March 28, 2013! It’s the premiere of G.I. Joe Retaliation!!!! We’ve waited months for this and now the day has finally arrived. This weekend fans will flock to see that latest live action adventure of our favorite Real American Hero on the big screen and I have the feeling that they’re going to love it. The film is currently sitting at 42% over at RottenTomatoes.com with the critics but 82% of audiences have enjoyed it thus far. I’ve managed to see it twice now (cough FANBOY, cough) and have enjoyed myself both times. It’s a film that holds up to a repeated viewing rather well. You can read JBL’s Review of G.I. Joe Retaliation RIGHT HERE as well as other reviews from around the fandom. My advice– go and see it for yourself. 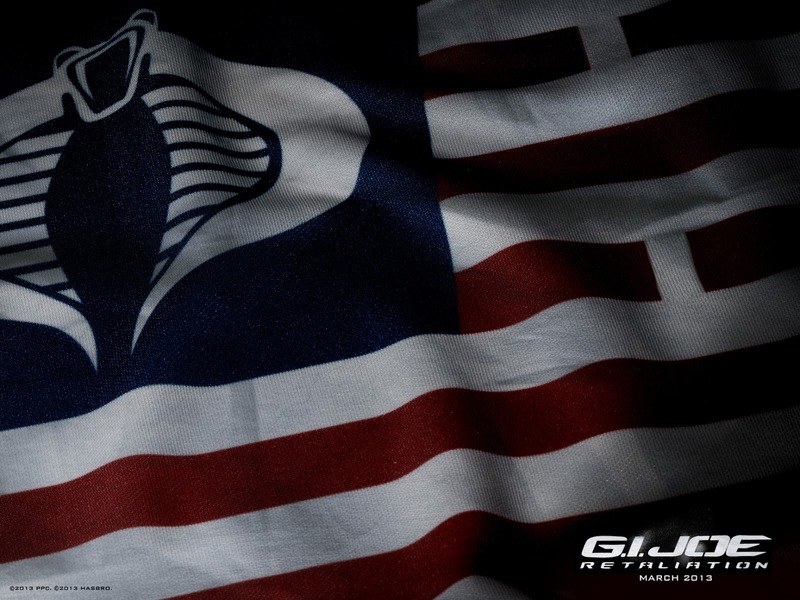 Get some popcorn, a large drink, and prepare to kick back and relax for next hour and forty minutes as the Joes once again prove themselves to be Real American Heroes!